Taking the leap from looking after your own properties to managing for other people, is a logical step for many owners who want to make a full-time business out of short-term rentals. It’s how most property management companies got started. Steve Milo of VTrips (formerly Vacation Rental Pros) heads up one of the largest property management companies in North America. Steve started in 2002 with his first purchase in Florida, and now owns several vacation rental homes and management companies throughout Florida, Hawaii, New Mexico, South Carolina, and Tennessee, with over 2,000 homes in the VTrips portfolio. While emulating Steve may be a lofty goal, it’s worthwhile studying how he did it, and why he says efficiency, automation, and lean management are the keys to a successful property management business. He ran the company by himself until he got to around 125 properties. Now with offices and staff all over the U.S., he’s able to do what he does the best — strategic growth management. 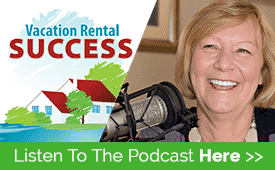 You can hear Steve talking about the strategies he used to achieve this amazing growth in Episode 94 of the Vacation Rental Success Podcast. For those with more modest ambitions, the general principles are the same: Create a strategic plan, research the competition and carve a niche, acquire owners, market wisely, and automate the systems. How do your new goals of property management fit into the overall picture? How many properties do you need to finance a full-time business? Where will the business be located as it grows? What financial issues might be faced with a full-time rental operation? What are the strengths, weaknesses, opportunities, and threats related to the business plan? Take a lot of time to look ahead and envision what the business will look like in five years because you’ll want to put systems and processes in place that will pass the test of time, and still work for you as the business grows. There’s likely to be competition wherever you’re located. Airbnb has made it much easier for hosts to become managers (co-hosts) so there’s an element of the Wild West in some areas with numerous startup project management companies. However, the Airbnb co-host model is limited by a setup that forbids any marketing on other listing platforms. While this may be perfectly acceptable in predominantly Airbnb-focused urban markets, the target market in destination locations may be looking on HomeAway, VRBO, and Booking.com, so confining marketing to one platform typically doesn’t make economic sense. Then do a secret shopper exercise and make an inquiry as if you were a guest, then as a potential owner. How do they respond? What’s unique about their response? What communication systems do they use? That’s just a few of the details you should be looking for to feed into a competition spreadsheet. This should provide plenty of data to analyze and allow you to figure out what other successful project management companies are doing that works. Property owners are the lifeblood of every property management company. 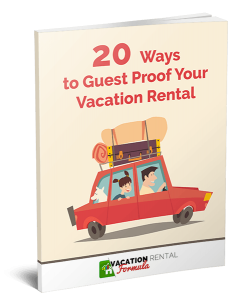 Without them, you have no inventory to offer to rental guests, and the business would struggle. The mistake many new property managers make is to concentrate on marketing for guests and not working hard enough on an owner-attraction strategy. Without a track record, it can be tough, so the trick is to double down on the niche and create some professional marketing tools that will show potential owners that you have significant experience, a clear marketing strategy to promote their homes, and a focus on longevity, with at least a five-year plan you can share with them. For some owners, the opportunity to get in on the ground floor of a startup project management company, with some unique ideas and perhaps a preferential commission rate, may be enough for them to sign up. Remember their primary goal is income, so focus less on your great website and nifty apps, and more on your commitment to their goal. The key to a great marketing strategy is knowing who your target guests are — your personas. If you’ve already done this for your own homes, then it’s just a matter of adding your new properties to the platforms that are working for you. However, if your research uncovers a new niche, it could open up other opportunities for marketing. For example, listing on the primary sites may have worked for your personal properties, but now you have some different styles of property that lend themselves to some more niche-oriented sites. Perhaps they are pet-friendly or family-focused, or tiny homes that would be more suited to Airbnb. Don’t make the error of thinking that what has worked for you in the past will work for every new home you acquire into your portfolio. Having a good website that showcases all your properties is essential, but don’t rush into that before considering all the options. Many of the reservation software providers include a comprehensive WordPress website with their package that would be worth considering. VTrip would not be the success story it clearly is if Steve Milo hadn’t automated his key processes from the start. Steve knew he wanted the company to expand, so he chose Escapia as his reservation system — a higher-end platform that was capable of scaling as the business grew. If you have hundreds of properties as your goal, explore the fully featured options such as Streamline or CiiRRUS — otherwise, a more modest option may work just as well. Automation isn’t limited to taking reservations. Think of the manual work required to collect and file the lodging taxes for multiple properties. Fortunately, Avalara MyLodgeTax can take that burden off your shoulders. Property access can be managed remotely by using keyless entry systems, and communication with guests handled by email automation platforms. Although the personal touch is still as important as ever in providing a great guest experience, so much of the background work can now be done at the touch of a button. Moving from managing a personal property to becoming a full-time property manager is no longer the daunting prospect it was 10 years ago when so much of the work was manual. If you have the passion for the business, a commitment to providing the best experience for both owners and guests, and you embrace the fast-moving changes in technology, this could be the pathway to your future in vacation rentals.